Melt chocolate in micro proof bowl for 30 to 40 seconds. Mix well. Take one tooth pick. Arrange 1 mango scoop over it. Pour 1 tablespoon melted chocolate. Sprinkle some colourful candies. 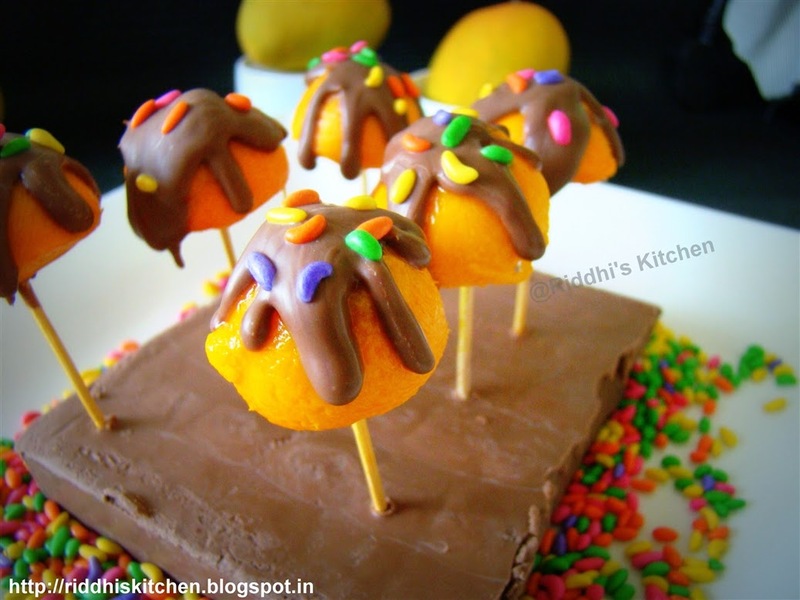 Arrange tooth pick over chocolate compound or some hard board. Do the same process for all remaning mango scoops. Keep it in freeze for 1 hour and serve it.